Everyone has a unique working style. For some, silence is key to productivity. For others, music or chaos is better for their ability to focus and get work done. Sometimes a person works best with a mixture of working styles and it can be difficult to figure out what works best for you. You can grow your art business more quickly because you’re able to be more productive! For a long time I tried to schedule my time in order to boost my productivity. It failed. Miserably. I thought if I planned out my workday the night before, scheduling when I would work on what, it would streamline my process. It made sense that if I had a strict plan, I would get more done, similar to having an outline for writing. Unfortunately, I didn’t plan for my brain not being willing to work that way. Instead of streamlining my process, I was blocked. I felt too confined and my brain wouldn’t focus on the tasks I had planned. I struggled to get anything done and would get frustrated with myself, not understanding that my failure to be productive was because I was trying to force myself to work a certain way. It turns out my best working style requires me to have certain parts of my day be routine, like my morning tea while reading emails, and other parts dependent on how I’m feeling that day. Part of this is due to my chronic illness, which means some days I have more energy for work, and some days I need to rest. Because of these limitations and my preferred working style, I plan my weeks and days more loosely. I create a chart of things I NEED to do for the week, things I SHOULD do that week, and things I just WANT to do. Then I prioritize the things in my NEED list and work on each task as I can. I also learned I work best in chunks, with a walk in the middle of the day to keep my mind fresh and my blood pumping. I get up every hour to get a drink. I walk around the house, I do some light yoga, or I get a snack, and then I’ll get back to work with fresh eyes and refreshed energy. I thought silence would help me focus, and I was wrong about that too. It turns out music helps me focus on doing anything visual, and silence only helps me focus if I’m writing or reading. Do you know how you work best? Even if you think you know your working style, I suggest experimenting with multiple styles to see which one you really like best. Try working to music, have your studio a little messy, have your studio clean and organized, work in silence, work while listening to podcasts, get up and walk around, strictly schedule your time, loosely schedule your time, etc. Sometimes your unique working style isn’t logical. Sometimes it doesn’t make sense. What you think should help you be more efficient with your time doesn’t always work best. Especially as artists, our working styles might not match that of someone who has a different job. We’re different. I find I’m just a little messier, a little more fly-by-the-seat-of-my-pants, and a little less afraid to take risks than the average person. I take more short breaks, and yet I get a lot of work done because I know this is how I need to work in order to be most productive. I know because I’ve tried just about everything and have learned what helps me maximize my productivity. When it comes to your working style, don’t get caught up in thinking you have to work one way or another. Some days may be different than others. Some tasks may require a different working style than others. If you find you work best in pajamas on your couch, that’s okay. I know someone who discovered she needed to get dressed and then walk outside and around her house to enter her studio door from the back, as if she’s walking to work and pretend it wasn’t a part of her house. She found she needed to do this in order to feel like she’s at work, maintain a schedule, and not get distracted by being at home. That’s okay too! Find what works for you and you will be more efficient, productive, and happier with your work. I’m chronically ill and have been since 2008. I’m much better now than I used to be, as I’m finally on a treatment that is slowly helping, but I still have strict limitations on what I can do and when I can do it. That’s why I’ve learned as many ways to be as productive as possible in my good time, and move my art business forward. There are a lot of techniques for productivity and building your business, which is what my new e-book, How To Build Your Art Business With Limited Time Or Energy, talks about in detail, and knowing your working style is an important one. If I hadn’t taken the time to learn my best working style, I wouldn’t be able to accomplish nearly as much. 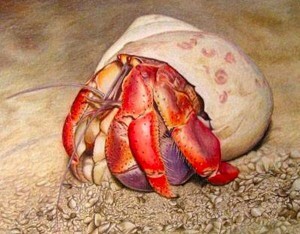 Corrina Thurston is a professional wildlife artist specializing in detailed, vibrant colored pencil drawings. She began drawing in 2010, two years after falling chronically ill and having to medically withdraw from college. Corrina taught herself how to draw from her bed as a therapeutic outlet. It then blossomed into a profession. 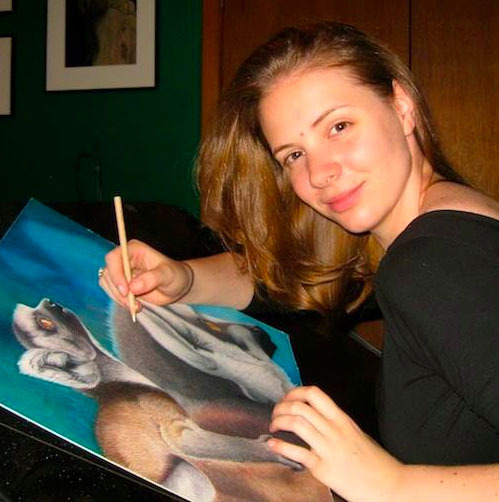 She has recently taken what she’s learned from her efforts of building her art business with her limited energy and written an e-book, How To Build Your Art Business With Limited Time Or Energy, to help other artists do the same. To learn more about her, feel free to view her website: www.corrinathurston.com.